The arrival of the Carnatic Trinity was an epoch-making event for the art form. Syama Sastry (1762-1827), Tyagaraja (1767-1847) and Mutt Swami Dikshitar (1775/6-1835) were all born in the town of Tiruvarur. All three of them took to music and evolved into composers of outstanding excellence. In keeping with Indian tradition, they are collectively thought of as divine in the incarnations. Purandara Dasa (1480-1564) is said to be the father of Carnatic system of Indian classical music. He formulated several graded steps and thus codified the teaching of Carnatic music. These teaching methods have survived over the centuries and are in use even today. Purandara Dasa is credited with composing several thousand songs, mostly in Kannada. Venkat Mukhi Swami (17th century) is the grand theorist of Carnatic Vocal Music. He was the one who developed the melakarta system. This is the system for classifying south Indian ragas. The Carnatic classification establishes seventy-two root ragas formed by variations of the order of the seven notes of the gamut, ascending and desending. Raagas have been derived chiefly from tribal songs, poetic works, devotional songs and scientific compositions. Carnatic music (Karnataka Music) is a system of music associated with the southern part of India and the style is followed largly in four Southern Indian States Andhra Pradesh ,Karnataka, Kerala & Tamil Nadu. Carnatic music, from South India, tends to be more rhythmically intensive and structured than Hindustani music. Examples of this are the logical classification of raagas into melakarthas, and the use of fixed compositions similar to Western classical music. Carnatic Raga elaborations are generally much faster in tempo and shorter than their equivalents in Hindustani Vocal Music. In addition, accompanists have a much larger role in Carnatic concerts than in Hindustani concerts. 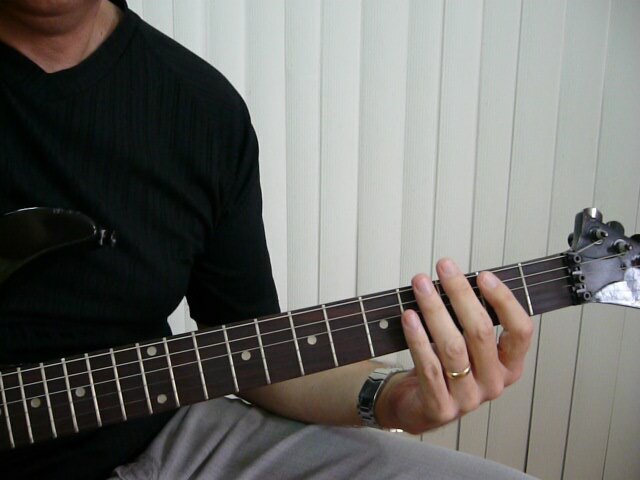 This entry was posted in Dance Classes Online, Dance Courses Online, Dance Lessons Online, Harmonium music lessons online, Indian Classical Dance, Indian Classical Dance Lessons, Instrumental Music Lessons, Odissi Dance Lessons Online, Pakhawaj instrumental music lessons online, Sarod Lessons Online India, Semi Classical Music Lessons, Uncategorized and tagged Carnatic Vocal Lessons Online, Indian Classical Vocal Music Lessons on February 13, 2014 by Divya Music. Divya music school in India offers online music training classes for learning Indian vocal music – beginner, intermediate and advanced level Hindustani Light classical vocal music and Hindustani semi classical vocal online music lessons on skype for the convenience of the music students all over the world. Divya school of music is promoted by the top music school in India – Divya music sangeet vidyalaya, as the best music education center in India conducting online Indian light classical vocal music hobby courses. The Hindustani light classical music concepts with their varied styles are all the very important concepts in learning the Indian semi classical music – Hindustani light vocal or North Indian light vocal music. Ghazals, Bhajans, Spiritual chants, Bhakti Geet – devotional songs, Folk songs – Lok geet, qawwalis etc. 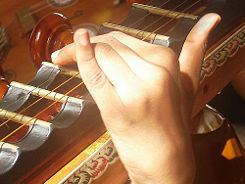 are the popular styles of light classical music which is based on Hindustani classical music. Hindustani vocal Gayan kala or Hindustani light classical vocal Gayaki or Bhartiya Up-Shastriya sugam sangeet gayaki and are conducted by top best Hindi light vocal singing teachers, sugam sangeet voice trainers and up-shastriya sangit instructors from India. Online Hindustani light vocal music classes available at Divya music school online are – Hindustani light vocal music hobby voice lessons in Hindustani Light classical vocal Indian semi classical singing style. This entry was posted in Dance Classes Online, Dance Courses Online, Dance Lessons Online, Harmonium music lessons online, Indian Classical Dance, Indian Classical Dance Lessons, Instrumental Music Lessons, Learn Odissi Dance Online, Learn Playing Pakhawaj Online, Light Classical Vocal Lessons, Odissi Dance Classes Online, Odissi Dance Lessons Online, Pakhawaj instrumental music lessons online, Sarod Lessons Online India, Semi Classical Music Lessons and tagged Light Vocal Lessons Online, Semi Classical Vocal Lessons Online on December 21, 2013 by Divya Music. Divya school of music offering DM Live core online music lessons is promoted by the top music school in India – Divya sangeet (music) vidhyalaya, as the best sangit – online international music education center in India conducting Pakhawaj learning hobby lessons for the global music students. Pakhawaj instrumental music classes and levels of learning: Online instrumental music courses – Pakhawaj playing online lessons on Skype available with DM Live Core Divya music school online classes are for all levels of Pakhawaj learning and classifications for the global students. Pakhawaj training lessons online from best Pakhawaj Gurus – top rated Pakhawaj teachers in India for learning to play Pakhawaj musical instrument. The flexible online music classes with Pakhawaj playing online instrumental music lessons facilitated on Skype is the best option for learning Indian Pakhawaj at home, offering affordability and convenience to the Pakhawaj instrumental music students all over the world. The Pakhawaj musical instrument learning students searching to look and find online Pakhawaj teacher – Pakhawaj guru from India and for internet based online Pakhawaj class lessons opt for the high quality, flexible timing, convenient, cost effective and cheaper one-on-one online Pakhawaj classes by Divya Music. The highly experienced Indian Pakhawaj musicians, qualified online Pakhawaj playing instructors, Pakhawaj talent training experts in India conduct the Pakhawaj instrument playing lessons online for the kids, school children, college students and adults alike. Pakhawaj playing trainers noted instrumental musicians, Indian Pakhawaj Gurus and International level Pakhawaj training experts at Divya school of music teach the energetic and lively art and technique of the perfect Pakhawaj playing. This entry was posted in Dance Classes Online, Dance Courses Online, Dance Lessons Online, Harmonium music lessons online, Indian Classical Dance, Instrumental Music Lessons, Kuchipudi Dance Classes Online, Learn Odissi Dance Online, Learn Playing Pakhawaj Online, Odissi Dance Classes Online, Odissi Dance Lessons Online, Pakhawaj instrumental music lessons online, Sarod Lessons Online India, Uncategorized and tagged Learn Playing Pakhawaj Online, Pakhawaj instrumental music classes online on September 22, 2013 by Divya Music. Odissi traditional classical Indian dance form to the dance students in a non – competitive, dedicated and disciplined manner following the well-known, age old ‘Guru – shishya parampara’ (Indian Teacher – disciple system), in a family like sacred atmosphere. The finer Odissi dance hand gestures, finer Odissi finger movements and gross bodily dance movements, Odissi dancing steps – Adavus, variable active rhythm, drama, dance expressions, graceful style, dancing posture, acting, devotion, Odissi Dance moves and dancing ‘mudras’ – are all the very important in learning the classical Indian Odissi dance style. The Online Odissi lessons on Skype are not an alternate / substitute to the traditional Guru-Shishya (Teacher – Disciple) method of imparting the classical dancing knowledge and training. The Odissi online classes by DM Live Core can supplement the initial level dance training in its own unique way and help a young, fresher Odissi dance style learner to understand and practice the basics of Odissi dance classical form during the short term hobby lessons online and certificate level classes useful for a broader global audience. Regular Odissi classes available at Divya dance school centers in India are – Odissi hobby dance lessons online, Odissi Certificate course, Graduation – Bachelor degree, Post graduation – Masters degree and Doctorate level courses in Odissi Indian classical dancing style – Bhartiya Shastriya Nrittya kala. Odissi dance online lessons available with DM Live Core Divya dance school online classes on skype in Odissi Indian classical dancing style are – Odissi dance hobby online lessons and Odissi dance certificate level online classes and courses – Bhartiya Shastriya Nritya kala. This entry was posted in Dance Classes Online, Dance Courses Online, Dance Lessons Online, Harmonium music lessons online, Indian Classical Dance, Indian Classical Dance Lessons, Learn Odissi Dance Online, Odissi Dance Classes Online, Odissi Dance Lessons Online and tagged Learn Odissi Dance Online, Odissi Dance Lessons Online, Odissi Dance Online Lessons on Skype on September 22, 2013 by Divya Music. 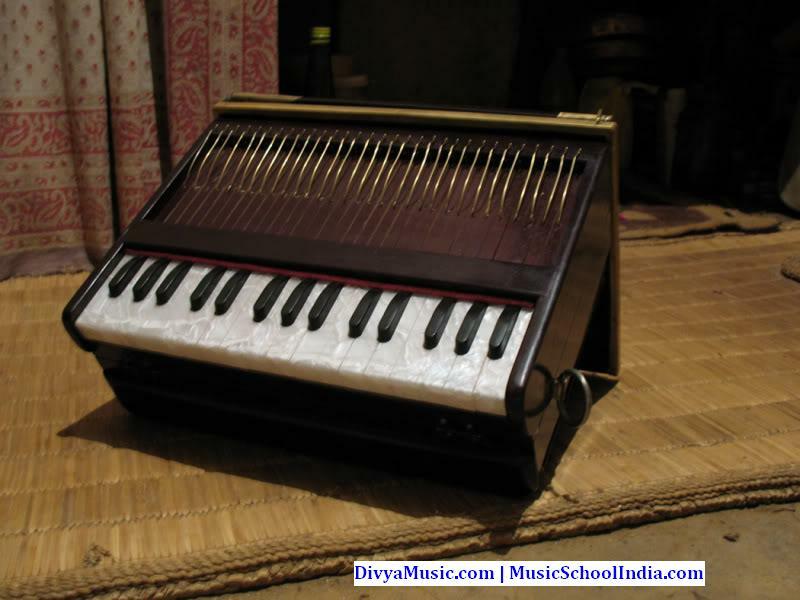 Divya Music School offers DM Live Core – Online Harmonium training lessons from best Harmonium Gurus – top rated Harmonium teachers in India for learning to play Harmonium musical instrument. The flexible online music classes with Harmonium playing online instrumental music lessons facilitated on Skype is the best option for learning Indian Harmonium at home, offering affordability and convenience to the Harmonium instrumental music students all over the world. This entry was posted in Dance Classes Online, Dance Courses Online, Dance Lessons Online, Harmonium music lessons online, Indian Classical Dance, Indian Classical Dance Lessons, Instrumental Music Lessons, Kuchipudi Dance Classes Online and tagged Harmonium music lessons online, Keyboard music lessons online, Tabla music lessons online on August 4, 2013 by Divya Music. Kuchipudi online lessons available with DM Live Core Divya dance school online classes on Skype in Kuchipudi Indian classical dancing style are – Kuchipudi dance hobby online lessons and Kuchipudi dance certificate level online classes and courses – Bhartiya Shastriya Nritya kala. The Online Kuchipudi Dance Lessons are not an alternate / substitute to the traditional Guru-Shishya (Teacher – Disciple) method of imparting the classical dancing knowledge and training. The Kuchipudi online classes by DM Live Core can supplement the initial level dance training in its own unique way and help a young, fresher Kuchipudi dance style learner to understand and practice the basics of Kuchipudi dance classical form during the short term hobby lessons online and certificate level classes useful for a broader global audience. The highly experienced Kuchipudi dancers, qualified kuchipudi dancing instructors, Kuchipudi dance talent training experts – the kids, children and adult Kuchipudi dancing trainers, noted choreographers and Kuchipudi female dance training experts at Divya school of dance teach the energetic and lively art and technique of perfect Kuchipudi dancing. The famed, awarded and renowned Indian classical dance groups and Kuchipudi dancing teachers faculty at Divya Kuchipudi dance school provide the quality dance training during the full term Kuchipudi nritya mahavidhyalaya, nrittya vishvavidhyalaya – dance college and dance university level courses. This entry was posted in Dance Classes Online, Dance Courses Online, Dance Lessons Online, Indian Classical Dance, Indian Classical Dance Lessons, Instrumental Music Lessons, Kuchipudi Dance Classes Online and tagged Kathak Dance Classes Online, Kuchipudi Dance Classes Online on August 4, 2013 by Divya Music.